The act of storytelling has evolved through various formats through our relatively short period on our plain of existence. Listening to someone talk about an experience that they've gone through still holds tremendous value in my life as a photographer and as an individual that translates his own story through images. These audio entries are pieces of inspiration that I've gained from each of the locations I've been fortunate to have captured on my journey throughout the fantastic landscape I have the liberty to explore. Location: Strathcona Provincial Park. Vancouver Island, British Columbia, Canada. Hello and welcome to my third audio installment of the short articles I write alongside my landscape photography. 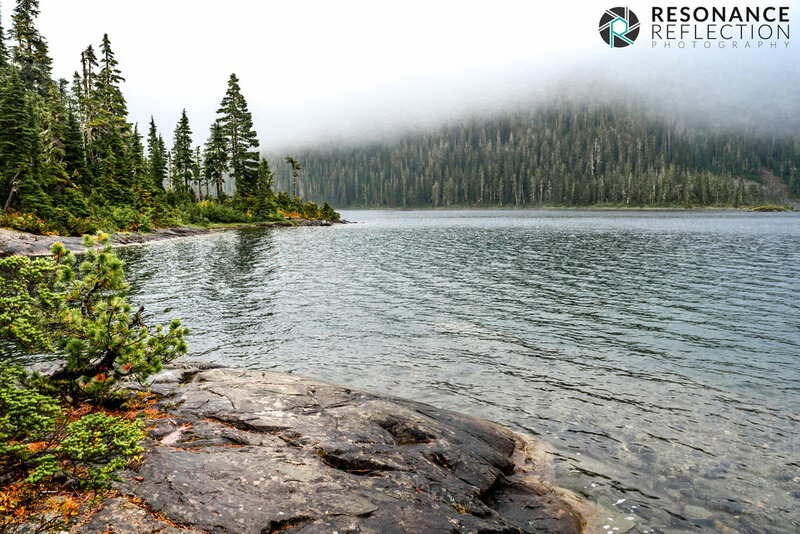 This photo is from Strathcona Provincial Park on Vancouver Island. The day was wet, and the fog was reasonably dense; to some, it's a less than ideal day to spend hiking in the outdoors. I enjoy the overcast and dark colors throughout the day. The inspiration for this article came from making the most of a situation and finding the means to create results from what I know I can do, and dig deeper in myself to see what I'm capable of executing.